RAI strives to provide world-class service and support to our customers. From installation to product retirement, warranty upgrades to self-maintenance, proactive care and 24 x 7 problem resolution, you can rely on RAI and our authorized service partners for all your support needs. Throughout the life of the system, RAI technicians work with our customers to keep their systems running at peak performance. Our technicians are available by phone or online to answer any questions you have about your system's operation. 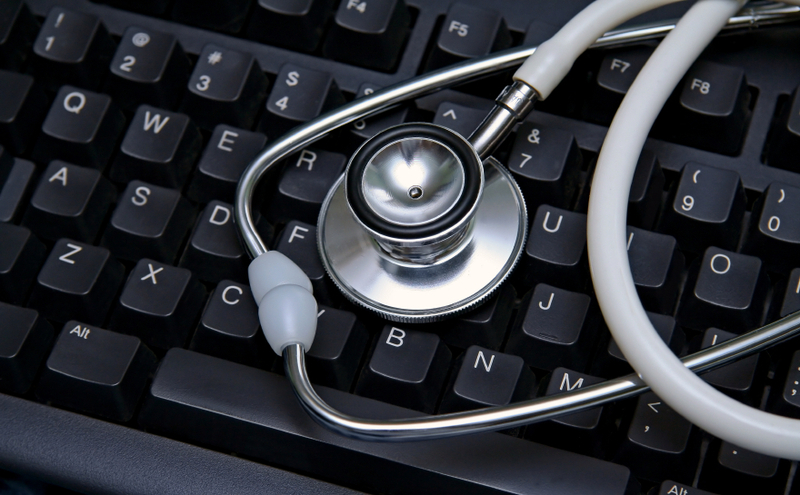 Our online support includes a database created by certified RAI support professionals who have resolved issues for customers. It is regularly updated, expanded and refined to ensure customers have access to the very latest information. From our online support, you can find updates, download patches and post your own questions about your system to our RAI representatives. Our support offerings include full-service support, depot repair, remote pro-active monitoring and support, and services on a Time and Materials (T&M) basis. Our support services are available in one, three, or five year options, with flexible payment plans. 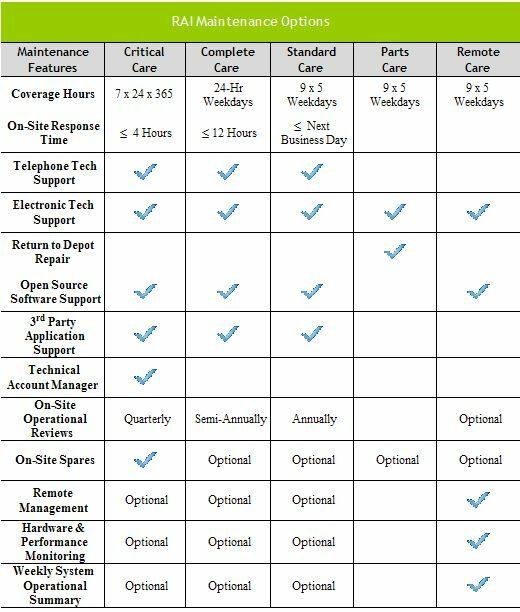 The RAI Maintenance Options table RAI Maintenance Options Table summarizes RAI's support offerings. Call Bruce Pennington at 713-973-1500 for more information.